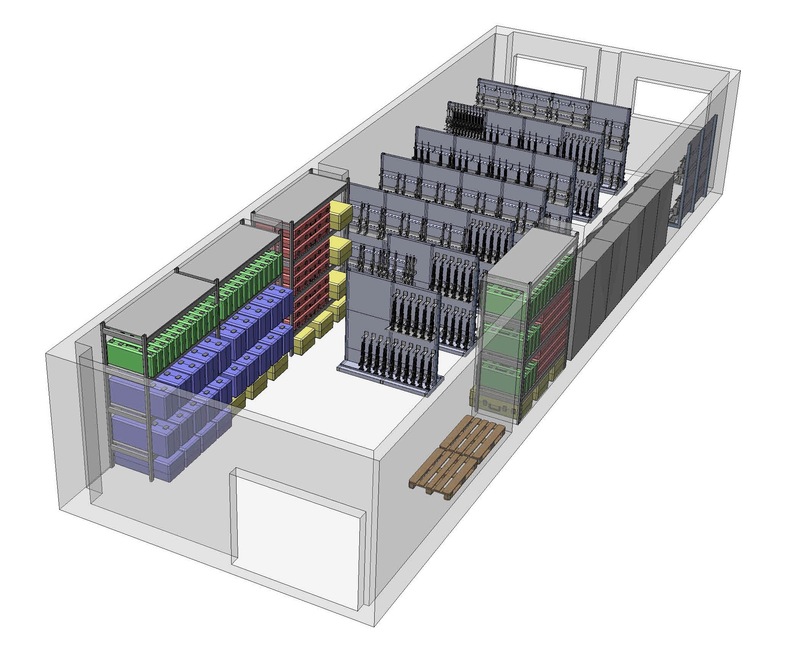 The unique, adjustable FWS Europe weapons storage system provides an infinite number of options. This means it can be challenging for armoury personnel to visualise the proposed layout in operation. A military armoury is regularly required to provide storage for diverse equipment: long firearms like ceremonial weapons and sniper rifles such as the Accuracy International L96 – machine guns like the FN Minimi with bipod – plus individual weapons such as SA80 in short version L85 and longer type L86 – alongside small arms including pistols. To make the task of armoury design even more challenging, guns may have to be stored in racks with accessories such as grenade launchers, scopes, sights and other equipment. Police armoury locations are very often tight on space and also have requirements for storage of diverse weapon types and equipment from HK MP5 type guns through to handguns and tasers. 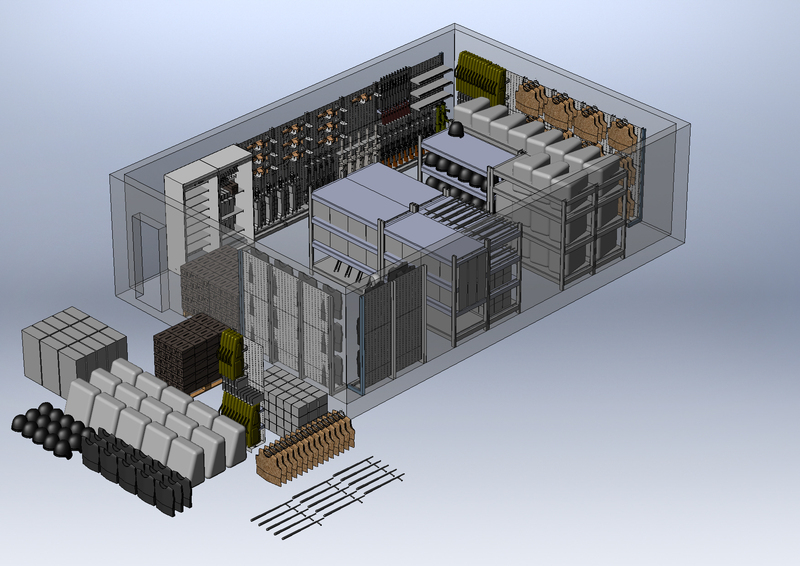 Working with the finished CAD drawings is easy. The image can be rotated to provide all views of the weapons layout within the armoury to enable a truly realistic virtual view – as shown in the example here. We can adjust the layout of panels and components as required to produce the perfect bespoke solution. 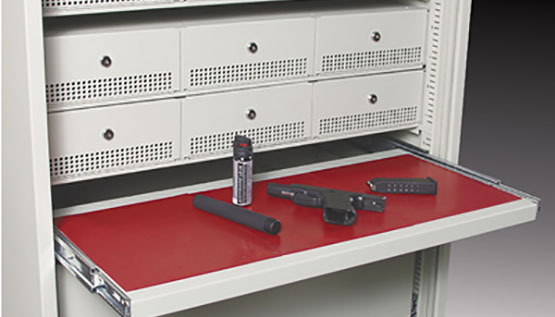 Whatever operational requirements may dictate, users can configure their weapons storage to match – seamlessly and efficiently. Internal layout can be quickly altered to meet police operational requirements and the stacking units themselves can quickly be broken down and repositioned as required. Flexible, versatile – instantly reconfigurable secure weapons storage, this Secure Weapons Cabinet is quite simply the most flexible and versatile storage cabinet for weapons ever produced. Yes I consent to Weapons Storage collecting my details and contacting me using the data from this form.